Business Name: Brown, Yvette M. M.D. 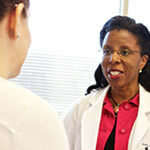 Dr. Brown attended the University of Maryland at Baltimore where she was enrolled in the Epidemiology Studies program. She completed her residency in Obstetrics/Gynecology at Philadelphia’s MCP Hahnemann University and received her M.D. from the Medical College of Pennsylvania. 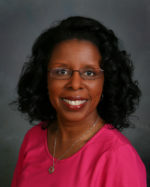 Dr. Brown also completed the Medical Education Development Program at the University of North Carolina at Chapel Hill.